The D&D Player’s Handbook is Available Today! Today marks the release by Wizards of the Coast of the first of three core rulebooks for the highly-anticipated Dungeons & Dragons Tyranny of Dragons storyline. 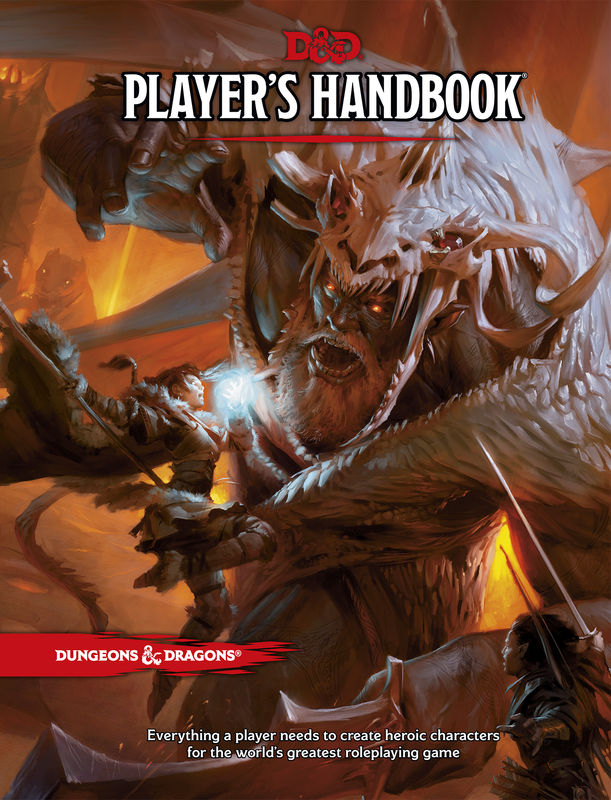 Optimized for fifth edition of the Dungeons & Dragons tabletop roleplaying game, the Player’s Handbook contains everything players need to create heroic characters with rich backgrounds and compelling capabilities, ready for adventure. Also released today, Hoard of the Dragon Queen is the first of two adventures in the Tyranny of Dragons story arc. This adventure provides everything a Dungeon Master needs to create an exciting and memorable experience. Players can get a sample of what this product has in store through the D&D Encounters in-store play program. The Player’s Handbook and Hoard of the Dragon Queen are just the beginning of the many releases that will be rolling-out this year.